Kelsey L. Arbogast, MD practices medicine at Tidewater Physicians for Women in Virginia Beach and Norfolk, Virginia. She began her career in Oklahoma, where she received her undergraduate degree from the University of Oklahoma. She continued on to earn her doctorate at the University of Oklahoma School of Medicine. After earning her medical degree, she completed her residency at the University of Oklahoma School of Community Medicine. 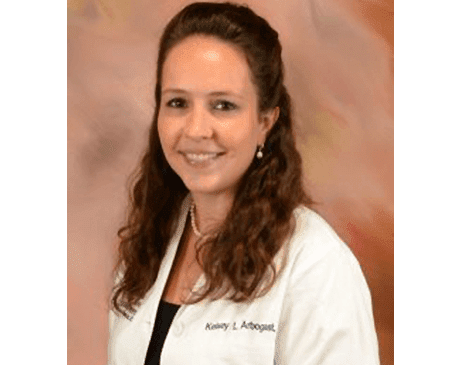 Dr. Arbogast looks forward to continuing her practice with the women in the area by providing routine well woman care, and teaching preventive health care, while expertly treating gynecological problems, and supporting their health throughout pregnancy. She encourages each woman to plan for a healthy pregnancy by visiting her for preconception counseling for screening of risk factors that may impact a future pregnancy and baby. Dr. Arbogast spends as much time as possible with her husband, daughter, and their dog. They enjoy traveling and being outdoors, where she especially enjoys scuba diving.